The mixed rags industry is based around a full circle economy focused on true recycling. The goal is to repurpose materials for reuse to reduce the amount of waste that our species is generating. A new survey found that the average American will toss over 81 pounds of clothing this year alone. That amounts to 26 billion pounds of textiles and clothes ending up in landfills. With this in mind, there are many companies looking for ways to repurpose these materials including Bank & Vogue. A very new and interesting concept is turning cotton mixed rags into jet fuel. Japan Airlines (JAL) has a goal to turn mixed rags into jet fuel. With help from GEI (Green Earth Institute), they will take on a new project to create jet fuel from cotton. The airline is targeting 2020 as the year to use cotton-derived fuel for their airplanes. GEI uses biofuel technologies developed by the government-backed Research Institute of Innovative Technology for the Earth. One of the key technologies is using microorganisms to aid in the fermenting process. With this technology, they are able to process sugars contained in cotton into alcohols, which they can use to make fuel. The supply of used clothing is vast through suppliers of mixed rags and retailers with used clothing that they cannot sell. The project has gathered used clothing from over 1,000 stores in Japan with help from retailers such as Aeon and Muji. Their goal is to test this fuel by 2020 and begin producing it on a commercial level by 2030. Making fuel from organic sources such as cotton still releases carbon dioxide at the refining stage. However, emissions are estimated to be less than half those from fossil fuel production. 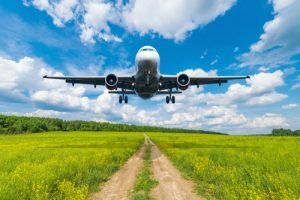 Replacing conventional jet fuel with biofuel, even in part, would help shrink emissions associated with air travel as global efforts to combat climate change gather speed. Bank & Vogue is proud to be an active member of the mixed rags market as we recognize the importance of this product to ethically address our present-day environmental crisis and achieve the sustainability in the textile industry that is needed to clean the environment. By participating in the mixed rags market, Bank & Vogue has willingly played an active and responsible role in addressing the crisis while also providing willing customers with items that they need and desire.